Mayumi Ogihara says: Gorgeous Arie!! Beautiful portrait, and the colours are fantastic! Love it, Kat xoxo	~ Reply? Tricia Danby says: So very beautiful! ~ Reply? Heather Kilgore says: I don't even have the words! She is stunning! ~ Reply? 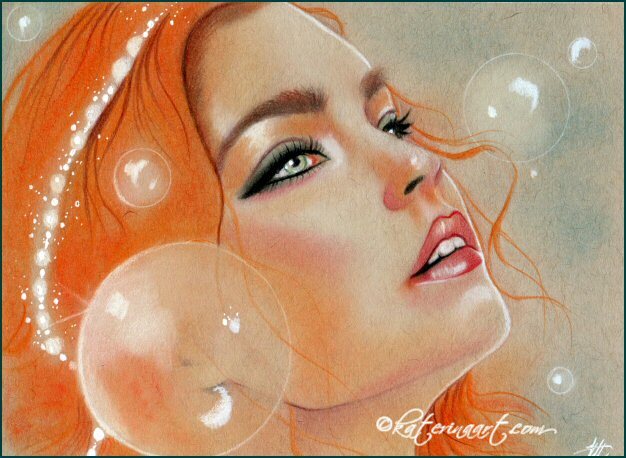 Natta says: Ariel looks very beautiful and grown up here. I like how soft the pastels make the piece. ~ Reply? Carol Moore says: Stunning work! Love the colors and her expression ~ Reply?